I didn’t care that I’d have to sit on the floor for months! I’ve just bought my first quaint place in the flatlands of Berkeley. It’s 850 square feet and I need to furnish it. First and foremost, I need a couch and a bed. But my heart wants something else. It needs art for the walls. Something that will speak to my soul. My first purchase for my new little home was a large, wooden Lotus that was carved out of beautiful wood and made in Thailand. Yes, that was what I needed. I didn’t care that I would have to sit on the floor for months. That lotus flower was the thing for my soul. You see, I’d entered a whole new period of my journey. I was becoming a yoga teacher. I’d just done my first yoga teacher training and had entered a second one. Yoga was my life at that time. I was using it to rehab myself after a major car accident I’d been in just a couple of years prior. 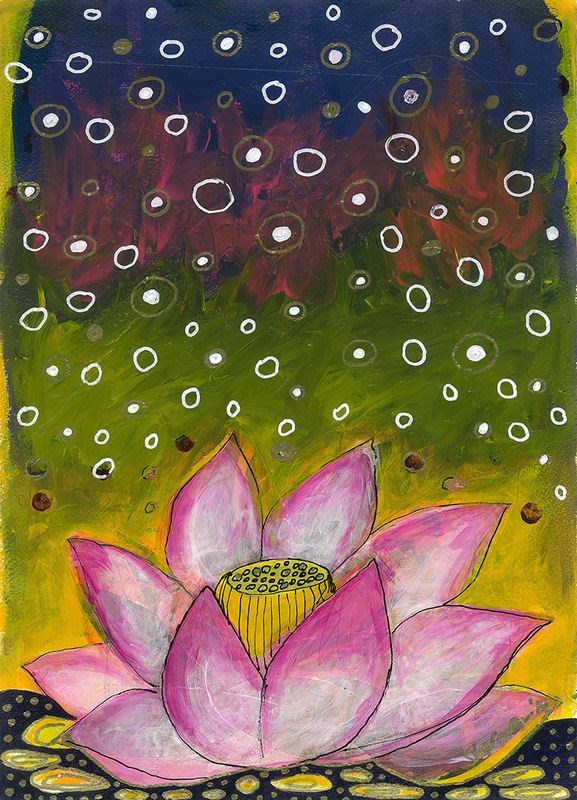 The Lotus Flower represented the calm I was cultivating within myself. It’s blushing pink beauty grows out of dark, swampy, mucky places and then dazzles the world. It was a great reminder that our own blazing light can only shine brightly if we own the shadow sides of ourselves. 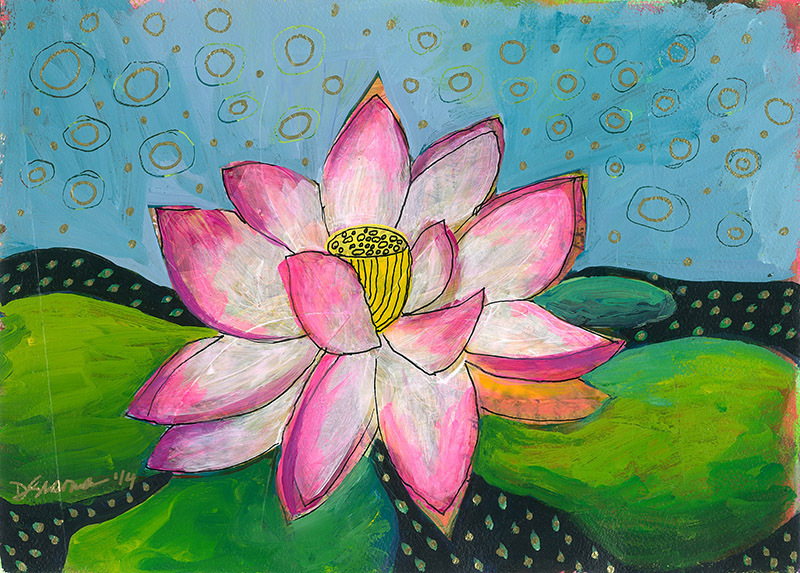 I bought that heavy wooden lotus, hung it in my house and looked at it every day as a reminder of what was growing within me – calm, the ability to integrate my shadow, my own inner beauty, stability, and much more. One might say we don’t “need” art because we can’t eat it, sleep in it, wear it (most art) or drive it. There is little “practical” use for art and yet, when we live life as a journey to open the soul, art and ritual objects become the most important things in our collection. As the years have passed, I’ve collected pieces of art here and there. Each piece represents a time and place in my life and reminds me of my journey. When I can’t stop thinking about an art piece, it’s a sign that it is talking to my soul and will help me evolve the next place within myself. So, next time you’re drawn to a piece of art, check in with yourself deeply. What IS it about that piece that calls you? What is the art saying to you? How does it make you feel? Do you want to live with the piece or is it enough to just see it once, or visit it regularly? If you keep thinking about the art you’ve seen, perhaps it needs to live with you. Just like art calls us, there is often a time when the artwork has done its magic and it’s time to move on to work with the next person who needs the magic of the art piece. 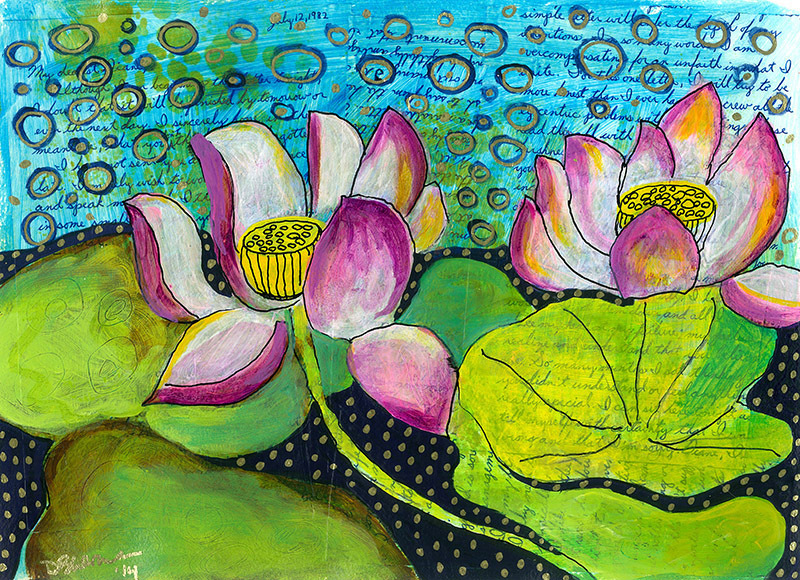 I recently sold the wooden Lotus. I was happy to have it find a new home with people who were delighted to see what it had to offer them. Letting go of that piece opened up space for new art to come into my world….and recently I bought a piece from a friend of mine, and every time I look at it I think of her.